Is Disney World a good choice? If you ask 100 different families about their experience at Disney World, likely you will get a majority of positive responses...after all, Disney didn't get nicknamed "the happiest place on earth" for no reason! But if you ask 100 different families of children with Autism about their experience at Disney World, you may get a variety of responses. How come? 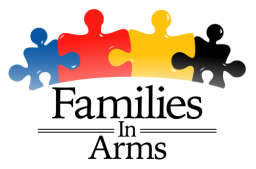 Autism, otherwise known as "ASD" (Autism Spectrum Disorder), affects the development of a person in some very specific areas...social communication, verbal and non-verbal communication, repetitive behaviors, and sensory processing difficulties. But no two children are affected in the exact same way. Some children on the Autism Spectrum are non-verbal, while others have very early development of language. Some children are hyper-sensitive to sights, sounds, touch, smell and taste...while others may be hypo-sensitive (under-sensitive) in these areas. Some children with Autism may have IQ's in the highly intelligent range while others may have IQ's below the average range. Some children with Autism may learn in a more restricted environment, while others are mainstreamed into public schools. Many kids with Autism have trouble making transitions or changing routines...some others are more flexible when it comes to predictability and change. Every child with Autism is different. So every experience will be different as well. Meltdowns. They happen. It's okay. Sometimes we can predict them...sometimes we can't. But when you have a child with Autism, meltdowns can be common occurrences. For them, sometimes this world can feel too overwhelming to process...and as a result, we are met head-on with their helpless feeling in the form of a meltdown. Meltdowns can happen at home, at school, and yes, folks...even at Disney World! The strategies you use at home or school to help a child through a meltdown, are the same you would use anywhere else. Don't be afraid that your child will have a meltdown at Disney...they won't be the first, and they certainly won't be the last!